Want a Quick Tip on Responding to SEO Telemarketers? Are you plagued by offshore and local SEO companies touting their services? Ask them this one question and it sorts them out quick smart. They will hang up if they don’t know the answer. One call yesterday prompted this article. Please read on! Want a SEO Telemarketer Quick tip? Firstly go to their website. SEO companies who are just not up with the play still include dated methods in their menu of services e.g. posting to 50 or more directories. Comment: Only local marketing directories matter. In NZ and Australia there are only a handful – approximately 10 key ones. Even in the USA it is not worth the time to cover more than the 10 main ones. There are many other Social SEO and other traffic methods. 1. 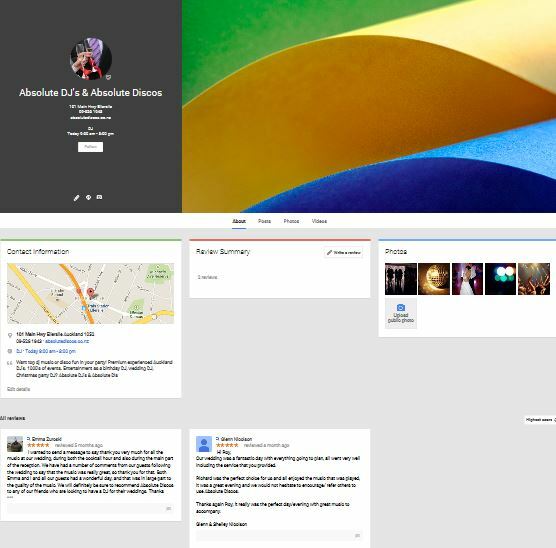 Ask them how they will technically handle Google Plus Local set up since they are based in a different suburb and city. 2. Tell then you are asking as if they can answer appropriately then you will know that they have earned your trust to give them your business. Listen for the words ‘cleaning cookies’. Reason? There is a cookie issue to take care with Google + Local. If they cannot answer effectively without sidestepping the issue then they are not worthy of you giving them business. Their telemarketing script. They will try to talk about keywords. That is irrelevant to this conversation. Instead they should be explaining that Google cookies the computer that is used to create the account and any ongoing work. The telemarketer needs to be able to explain what they do to resolve this i.e. how they clean the cookies through 2 specific methods. 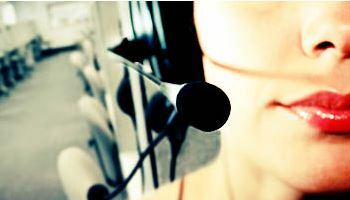 A genuine company will allow for genuine concerns in their telemarketing campaigns. When I cover these 2 things – every time they hang up. Clearly they are not companies I want to do business with. I assure you this will also screen out suitable companies for you, too even if your company is not marketing to other local businesses. Not sure what a Google + Local listing can look like? 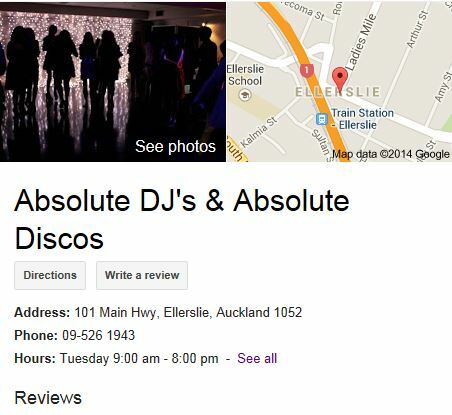 Here is an example of a close-up view of the Google + Local profile for the listing using Absolute Discos Auckland aka Absolute DJs Auckland NZ (a highly reputable Auckland DJ hire company, a premier Auckland DJ hire company).